Last Semester we asked you to decide which employability initiative you would like us to put into place in Semester two. You voted in your hundreds and as you can see, the results were incredibly close. However the final choice is Bookable appointments with a member of the professional training team. We already offer an open door policy to any student wishing to drop in and discuss placements and this is going to continue. However, we know from the popularity of Quick Query appointments that many of you would prefer to have a specific timeslot booked. 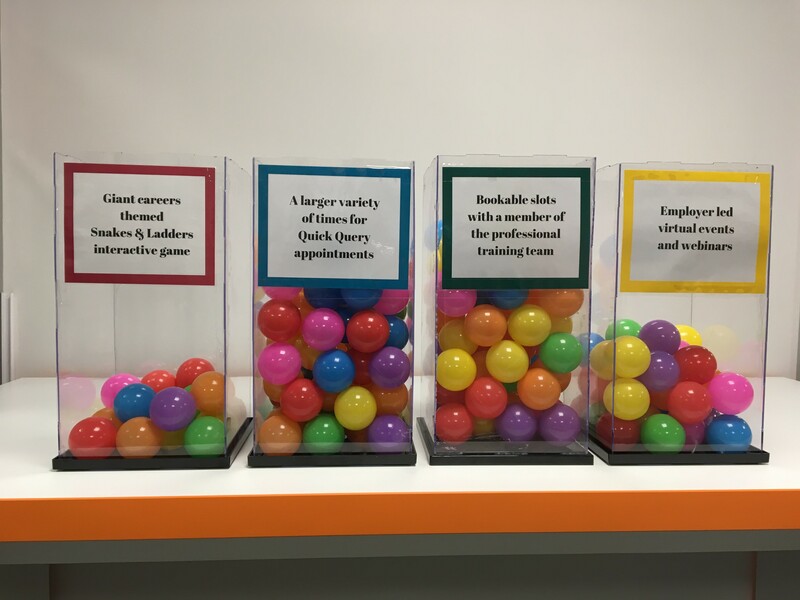 This is why we put forward the idea of bookable appointments with a member of the Professional Training team, and you responded by giving this idea the most votes! This week we have started offering these new appointments to second year undergraduates (plus relevant third year engineers) and they are now visible on Surrey Pathfinder. All appointments will initially be in our temporary location in The Green Room, Wates House and will soon be moving to the brand new MySurrey Hive. To see appointments available to you simply log in to Surrey Pathfinder and select Appointments.